You should all know by now that Christmas officially begins on 1st December however it is from the 3rd of December that we start to ratchet the excitement up in commencement of Lexmas festivities by staying open til 3am on weekdays and 4am on weekends until the 22nd December! We’ll be opening the club on Wednesdays and Thursdays with extra special DJ sets from Age of Consent and Pop Never Dies DJs as well as the Lexington legend known only as Simon Love. Don’t forget that’s in addition to all the usual gigs, clubnights and DJ sets that will also be happening! Full listings here. We’ll be taking a couple of days of for Christmas before reopening on 27th December with one final spate of clubnights and gigs before seeing the year off with a mammoth NYE party from White Heat! Their NYE parties have sold out for nearly fifteen years in a row so you’re strongly advised to book tickets in advance here. 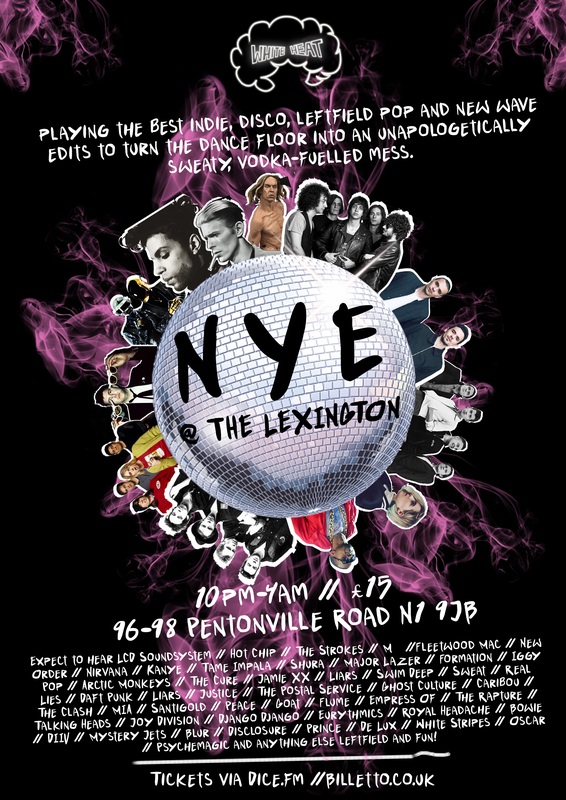 For NYE London’s finest indie disco party, White Heat, take over both floors with lasers, smoke machines, party poppers, immediately broken resolutions, the infamous homemade glitter cannon and a few surprises. White Heat NYE parties have sold out for 12 years in a row so make sure you get your tickets in advance to avoid disappointment and help make it a lucky 13!